C Spire began accepting customer pre-orders Thursday for the new Samsung Galaxy Note8 smartphone that will be unveiled on its “Customer Inspired” Maximum Range 4G LTE network next month. 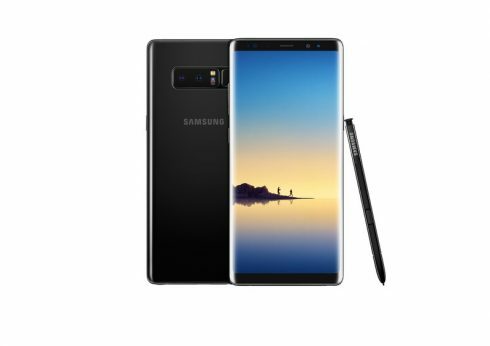 Consumers can reserve Samsung’s Galaxy Note8 online at www.cspire.com/note8 or via phone through Customer Telesales at 1.855.CSPIRE4 for home delivery or pick up at any C Spire retail store once the device is available in retail channels beginning on Sept. 15. For a limited time, consumers who pre-order the Galaxy Note8 can choose either a free Gear 360 camera or a 128GB memory card and fast wireless charging convertible valued at up to $229. The Note8’s 6.3″ inch Quad HD+Super AMOLED Infinity Display is the biggest screen ever on a Note device while the narrow body makes it comfortable to hold in one hand, see more and scroll less. The device also features an S pen performance stylus, dual 12MP rear cameras with pro mode and a powerfully fast Octa core (2.35GHz Quad + 1.9GHz Quad) 10nm processor. Pricing for the flagship device, which has garnered praise from leading technology media, starts at $38.74 per month for 24 months on C Spire’s Device Payment Plan. The phone is available for $929.99 without an agreement or payment plan and comes in Midnight Black with 64GB of storage. For more information on C Spire products and services, please visit www.cspire.com. To pre-order the new Galaxy Note8, qualify for the free Gear 360 camera, memory card and wireless charging offer, please visit www.cspire.com/note8.